People who keep track of the foods they eat are more successful at changing eating behaviors and losing weight. And scientific studies have shown that following the DASH diet can help you lower your blood pressure, lose weight and feel better. 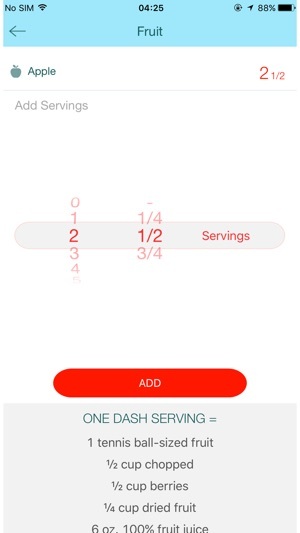 Let this app help you follow the DASH Diet! 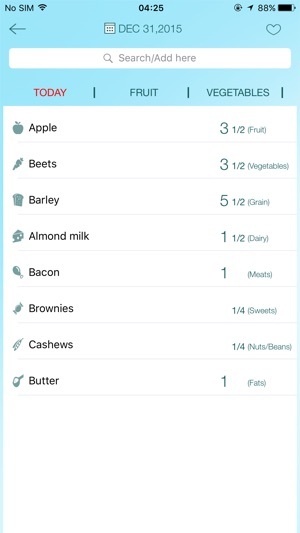 This DASH Diet Food Tracker app has been developed to help you easily keep track of your foods the way the DASH diet does, according to the number of servings you should be eating each day in the eight DASH food groups. 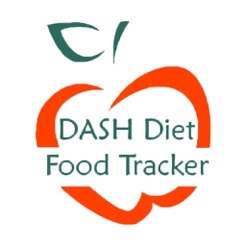 The DASH Diet Food Tracker App will calculate how much you should be eating in each of the 8 DASH food groups, and then make sure that you are meeting those goals with the foods you love. And you can enter your foods whenever it is convenient for you. 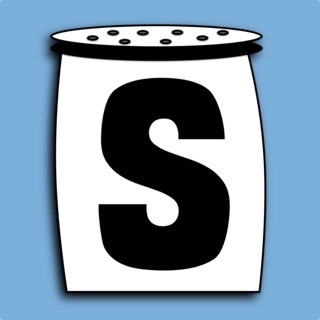 The app includes a tutorial to help you use it successfully. 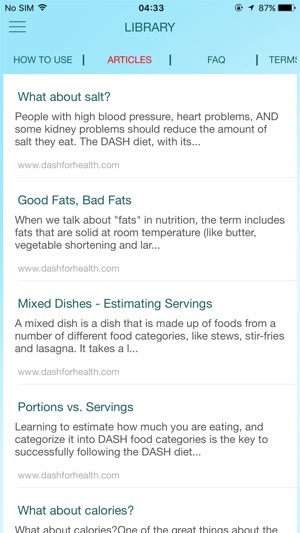 It provides tips for learning what are DASH “servings.” It also provides a number of articles about some of the basics of the DASH diet. And it keeps track of your progress so you can see where you are doing well, and where you need some help. 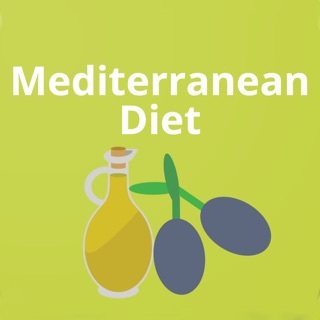 The DASH Diet is recommended by the American Heart Association, the U.S. Department of Agriculture, and has been selected as the best overall diet by U.S News & World Reports. 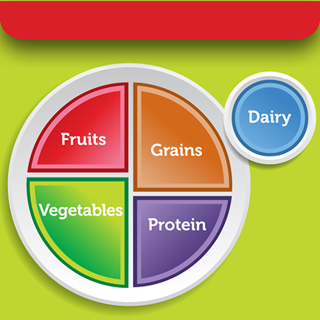 No foods are out of bounds on the DASH diet. 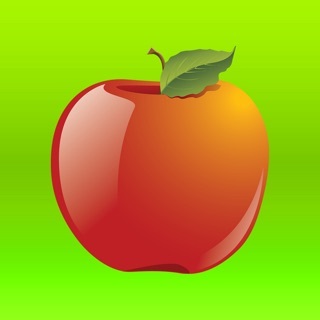 Use this app to make sure you are eating the right foods in the right proportions to powerfully impact your health. Unusable without an Internet connection. Have to create a login account and login everywhere time. The load time for login is long. 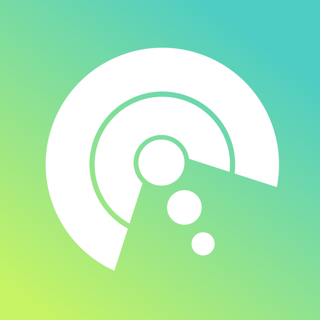 Give it a try if you always have Internet and coverage and don't mind waiting a slow login. Within a few seconds I knew this was a bust. As I was inputting my information I realized it doesn’t recognize predictive speech. 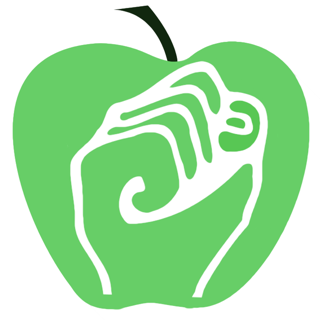 Food database is EXTREMELY limited. No sugar substitutes, no cream, no name brands. Enjoy that $2. You won’t get another dime from me. 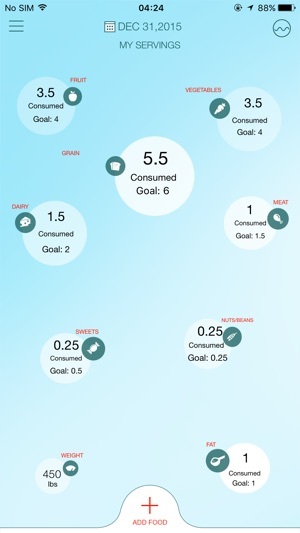 The app only allows auto calculation of food goals which I find unusable. If the developers allow a way to customize I'll try it again. So far a waste of money.